A melancholic memoir of saying goodbye to the familiar Road trips, drunken concerts, and late-night make-out sessions all swirl together in this coming-of-age graphic novel by King Cat cartoonist John Porcellino. Tackling the pain and uncertainty of the pivotal summer before college, Porcellino's sad and beautiful story is drawn in his sincere, minimalist style. 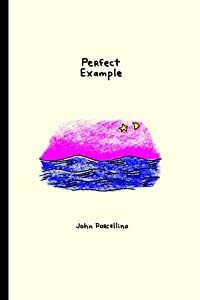 Deceptively and charmingly simple, Perfect Example is a collection of Porcellino's self-published King Cat comics, which have won over thousands of readers with their honesty, empathy, and sincerity.